Liz Kendall has divorced her abusive husband, but that doesn’t stop him from launching one last attack–only this time, Liz fights back and wins. However, in the moment, she feels as though someone else entered her body and controlled her actions. She continues to have episodes where it’s almost as if a second consciousness has entered her mind, taking control of her body and driven mostly by rage. Day by day Liz becomes more and more unsettled by what she thinks is a coping mechanism created by her own brain, but turns out to be a lot more sinister. At the same time, a young girl named Fran is the survivor of a kidnapping. It’s ten years after her trauma and she still has vivid hallucinations, including one of a fox companion named Lady Jinx who acts as her dearest friend and protector. Along with hallucinations, Fran is missing a lot of memories. Determined to uncover the truth about what happened to her and overcome her trauma, Fran decides to go digging into the story of her kidnapping and the man who did it. Eventually Fran and Liz’s stories intersect. Fran and Liz both go to the same psychologist, and then Fran becomes friends with Liz’s son Zac. Soon enough it is clear that it’s up to Fran to save Liz and her family from the violent interloper who threatens them. This is a poignant and unsettling book about the nature of self, the aftermath of domestic violence, mental illness, and the possibilities of parallel universes and different realities. It’s also about love and loyalty and friendship. Carey’s writing is vivid and compelling, and he’s got a real way with his characters’ voices. 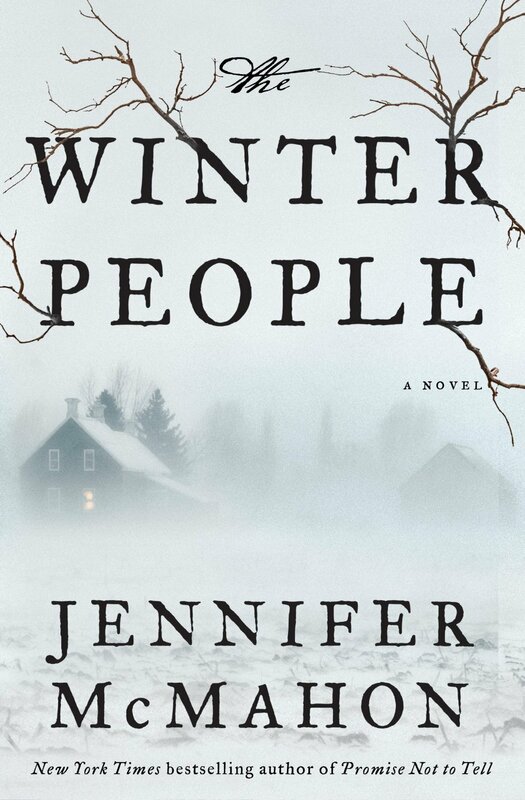 This is a supernatural thriller, but one that’s firmly grounded in a story about family and love. 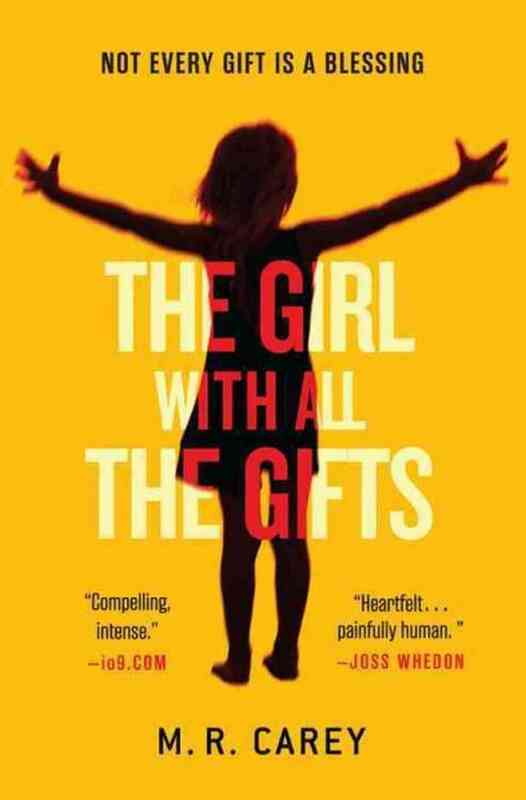 If you enjoyed Carey’s The Girl With All the Gifts, you’ll probably like this one, too. I’d also suggest Jennifer McMahon’s The Night Sisters or All Things Cease to Appear by Elizabeth Brundage. Jennifer McMahon’s latest, Burntown, feels like a return to her classic form after The Winter People and The Night Sister. It’s an intricate mystery with just the hint of the supernatural around the edges, filled with well-drawn characters and well-crafted scenes. And the writing is compelling as ever. This time, the supernatural comes in the form of speaking to the dead and having visions. The reality of both, in the narrative, is taken as a matter of course–but the reader can decide how much the characters themselves inform what they believe they see and hear. The story is this: Eva’s father is professor named Miles, who as a child witnessed his mother’s murder. He is an inventor who builds a machine which can supposedly allow people to talk to the dead, based on plans smuggled out of Thomas Edison’s laboratory. One night there’s a terrible storm and flood, and only Eva and her mother escape alive. But from there the two of them live on the streets. Eva doesn’t remember anything about what happened to her father and her brother, Errol. After her mother’s apparent suicide, Eva is left alone. And then, in a series of violent ways, her mysterious past starts to catch up with her. Two other characters’ paths cross with Eva’s eventually. There’s Theo, a high school senior who has been selling drugs to please her girlfriend. There’s also Pru, the overweight cafeteria worker at Theo’s school who has dreams of the circus. Those are the primary players, but there’s a web of relationships in this Vermont town. The intricacies of their relationships and the unexpected ways they all connect and influence each other is nicely done. The setting, a down-on-its-heels mill town in Vermont (those on the street call it “Burntown”), feels very realistic if you’re familiar with broken-down mill towns in northern New England. McMahon sets many of her novels in Vermont, and she’s got a gift for painting a picture of the landscapes and people, both good and bad. There’s a very strong atmosphere and sense of place in her books. In Burntown, you always have the feel of being in a ruin, in the underbelly. Sometimes literally, as when the story focuses on a group of women who live under a bridge and claim to have visions. I always enjoy the people in McMahon’s books, particularly their motivations. She can craft characters who seem very real, whose desires and impulses and secrets ring true. In this story I particularly enjoyed Pru, with her outsize fantasies and her happy ending. The ending to Burntown, if not entirely happy, is at least hopeful. It ends with a wonderful image that, to me, summed up the book very well. The climax and reveal of the mystery wasn’t a huge twist or anything, but it rang true. But then, this is more a story of the strange than it is a thriller, so it works. If you’ve read and enjoyed McMahon’s books in the past, definitely check this out. And I’m always reminded of Sarah Waters when I read McMahon’s work. If you like Burntown, you might enjoy The Night Watch, for the intricate relationships between characters and the setting, London during the Blitz, as well as the compelling writing and great characters. Happy Halloween Week! Here’s another Not-So-Horrific read for you to begin the count-down to the big day: The Night Sister by Jennifer McMahon. Longtime readers of this blog might remember last year’s McMahon-binge. 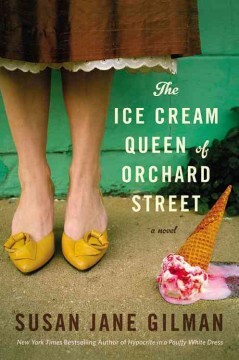 Do read that post for my fangirling discussion of the appeal of her novels. McMahon’s latest, The Night Sister, has all the same twists and turns, intricate plotting, moody atmosphere and mounting tension of her other work. What sets it apart is the presence of monsters. Like The Winter People, The Night Sister has overt supernatural elements. In her earlier books, there was always just a touch of that, a sort of glimmer around not-so-nice realities. All-too-human monsters hide behind magical facades. In this book, as with The Winter People, you’re not quite sure how real the supernatural elements are until pretty far into the story, which helps build the suspense. This particular story centers on two sets of sisters a generation apart. In one past narrative, Piper and Margot and their friend Amy are growing up around the Tower Motel, once a big tourist spot in rural Vermont. By the time the three girls were kids, the Motel had fallen into serious disrepair. One summer they uncovered a nasty secret that blew their friendships apart. In the other past narrative, there’s another set of sisters, Sylvie and Rose, who grew up at the motel in the 1950’s, and who both have something to do with the mysterious secret of the motel, and of Amy’s background. The third narrative is set in the present, where Amy is accused of murdering her entire family, and Margot and Piper try to uncover the truth. Secrets abound in this story, and the suspense comes from the desire to find out what’s really going on at the Tower Motel. As I mentioned, the paranormal is overt in The Night Sister, but it plays so well into the dark family story that it doesn’t feel too much like fantasy or horror. Rather, it’s a story about sisters and friendships and family secrets, and when you stop to think about it, the old-world monsters aren’t all that monstrous (though there is some deftly written well-placed gore). But still, this is a compelling, darkly atmospheric tale, creepy and absorbing with well-crafted characters and relationships. If you like your monster stories with a fairy-tale kind of feel, give this a try. 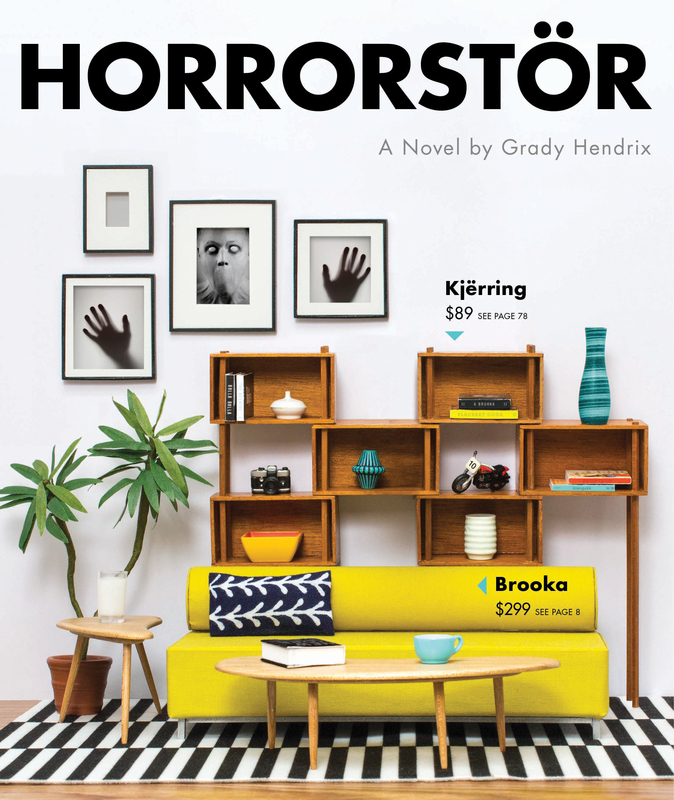 Horror Month 2015 brings us yet another installment of Marie’s Favorite Scary Books! It’s an official franchise now! Maybe someday Marie’s Favorite Scary Books, Part IV: Scary Book Massacre will be a name spoken in the same breath as Halloween 4: The Return of Michael Myers, Friday the 13th: The Final Chapter, Amityville 4: The Evil Escapes, A Nightmare on Elm Street 4: The Dream Master, and Bride of Chucky. Here are my favorite scary reads from the past year! Antiques valuer Catherine is sent to the Red House to catalog the collection of World War I veteran M.H. Mason, a taxidermist known for his dioramas of preserved rats enacting battle scenes from the Great War. Soon she finds there’s a darkness still lurking in the house, a mysterious secret that Catherine is drawn into and unable to avoid uncovering. A stifling and dark atmosphere, a pervasive sense of dread, and horrifying images that leap from the page make this a book to read strictly in the daytime. You can find the blog post about it here. These pieces have been collected under the umbrella of being unsettling (hence the title). Each tale wrongfoots you in a different sort of way. There’s darkness, there’s humor, there’s deep understanding and wisdom. His characters feel timeless. There’s an ease to his style, and he can work in so many mediums and different styles that it’s amazing all this work comes from one imagination. For a lighter not-so-horrific read this Halloween, give this collection a try. You can read more here. Have a horrific time with these! I have the oddest feeling that this is all a trick. There’s no way it can be New Year’s Eve. I barely had Christmas, man. How is this possible, that 2014 has come and gone so quickly? My personal favorites for this year are the books that I devoured. The ones I wanted to spend all my time with, and then, once I was finished, I couldn’t shut up about. There were only seven of them this year. Like a lot of what happened in 2014, much of my reading seems a blur to me now. So I sifted back through my reading journal, my Goodreads page and my Shelfari account, and here are the titles I came up with as my very favorites of 2014. Here are my top favorite reads of 2014. Catch you in 2015, where more reading adventures await! 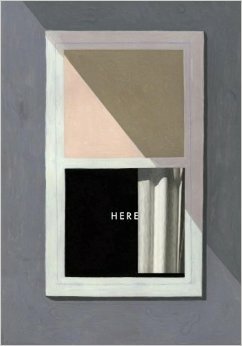 A moving, melancholy, slightly mind-bending graphic novel, Here is the affecting life story of one room. This is a ghost story where the living haunt the dead just as much as the dead haunt the living. 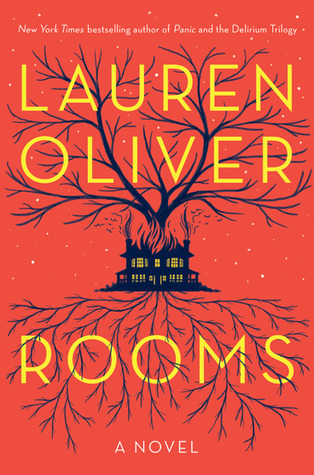 Poignant and character-driven, Rooms was one of my very favorites of this year. Like Rooms, this one stayed with me long after I finished it. 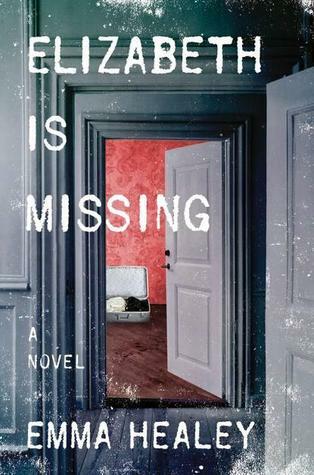 It’s an absorbing mystery, for sure, but it’s also an achingly sad portrayal of aging and dementia, and the thin veil between the present and the past. I loved loved loved this so much that I went on a full-tilt McMahon binge after I finished it. It’s dark and melancholy and full of ghostly happenings and bumps in the night, as well as all too human motivations. McMahon’s writing is so compelling, and builds to such a reveal that you’re always desperate by the final pages. So Good. Favorite of the year. 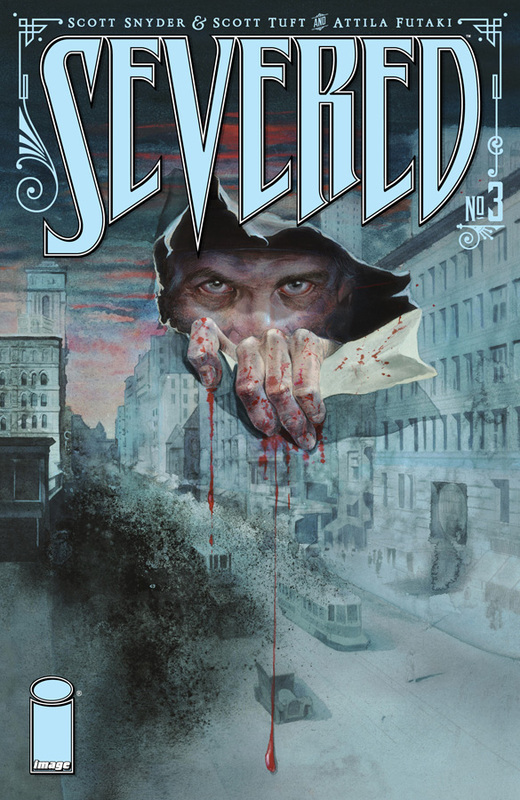 This was a wonderful series, with everything I love about Joe Hill’s work: themes of love and friendship and death and growing up, an ear for dialogue and some good old-fashioned creepiness. Rodriguez’s realistic and wonderfully acted art style is the perfect match for the story. I cried at the end! Hooray for an original zombie book! I loved the plot, I liked the characters, and I especially enjoyed how Carey wove in so many different tropes into a cohesive, believable whole. Honorable Mentions: Red Ruby Heart in a Cold Blue Sea by Morgan Callan Rogers, The Hundred Year House by Rebecca Makkai, and The Witch and Other Tales Retold by Jean Thompson. Happy Reading in the New Year, folks! The first one’s usually pretty okay. Perhaps some concepts or ideas you haven’t encountered before. Then there’s a sequel, and most people are in one of two camps: “Yay, they’re making another one!” or “Ugh, they’re making another one.” By the time the third one rolls around you know what to expect. Usually this is the one that continues all the motifs, maybe wraps some things up, but mostly it’s what you’ve seen before. My third scary books list is no different. The same things that freaked me out years ago freak me out now. It’s just that I find them in different books every year. 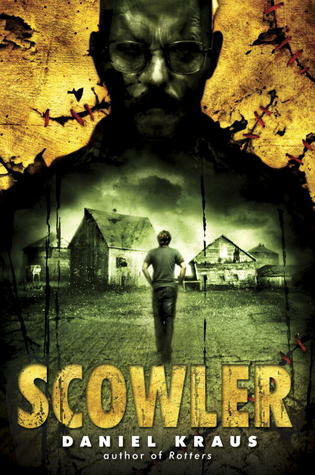 So here you go, the third installment of my favorite scary books! I’ve also got print copies of my favorite scary books lists on my Horror Display at the library. A creative, gory, and enjoyable zombie read. I talked about it on the blog here. A ghost story reminiscent of Stephen King’s Pet Sematary, but with a chilling magic all its own. Click here to read more. Human horror at its finest. A tale of a monster on America’s highways, searching for victims. The artwork is brutal but gorgeous, striking a distinctive and effective balance. This is the blog post about it. A tale of abuse and survival, and the monsters that lurk inside all of us. Thinking about it gives me a bad taste in my mouth. You’ll understand when you read it and get to the end. This one set me so sideways I never wrote a post, so here’s the Goodreads page. Let’s end on a relatively peppy note! 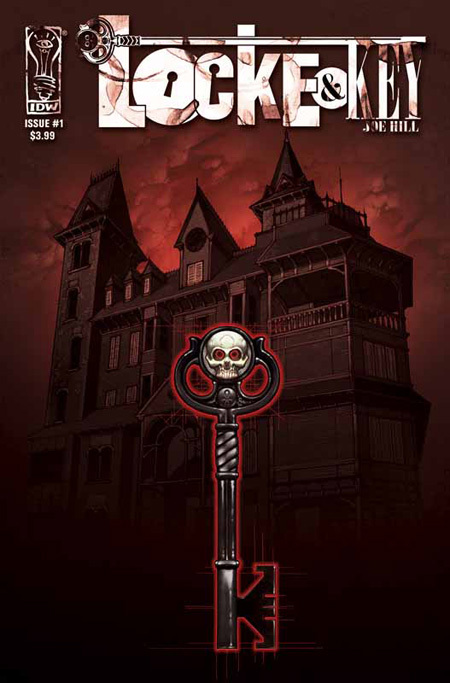 Read my blog post about this inventive, scary, and clever new title here. I’m not going to say “The End,” because I want to leave the door open for a fourth installment in October 2015. Maybe I’ll set it in outer space. Or somehow go back in time and do a prequel list. During Horror Time, the possibilities are limitless.